The Carabaccia is a small boat in the shape of a walnut shell that, in ancient times, transported sand and salt back and forth across the Arno, the river that crosses Florence, and is the name of a recipe, a soup, that is now on all the local menus. History describes it as a Renaissance recipe, from the kitchen of the Medici family, the Lords of Florence, that Caterina de' Medici, who married the second son of the King of France, brought to France with her (with artists, artisans and Florentine cooks), starting the tradition of the French variant of the onion-based soup, Soupe à l'oignon. 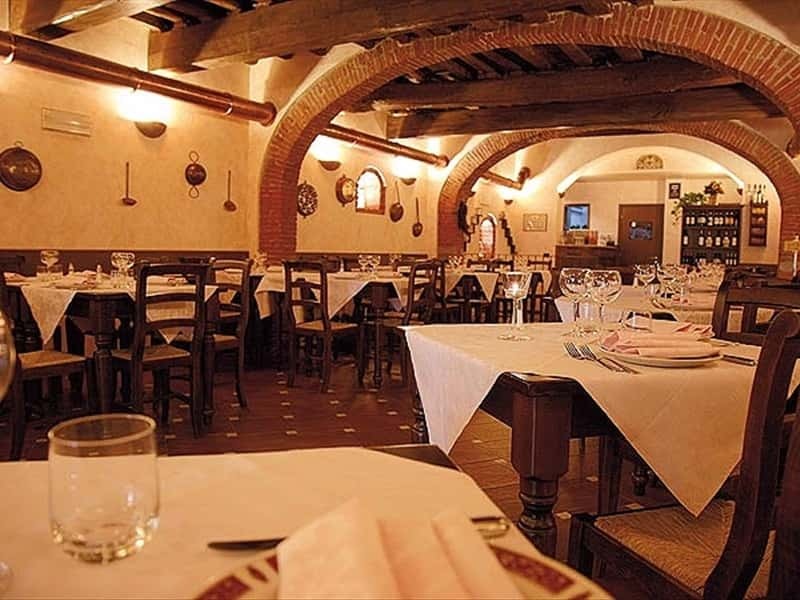 Instead, in Florence, at the end of Via Palazzuolo, at street number 190/r, almost at the corner of Orti Oricellari, a tavern opened in the beginning of the 20th century, a little piece of heaven for everyone who came there, especially the renaioli. 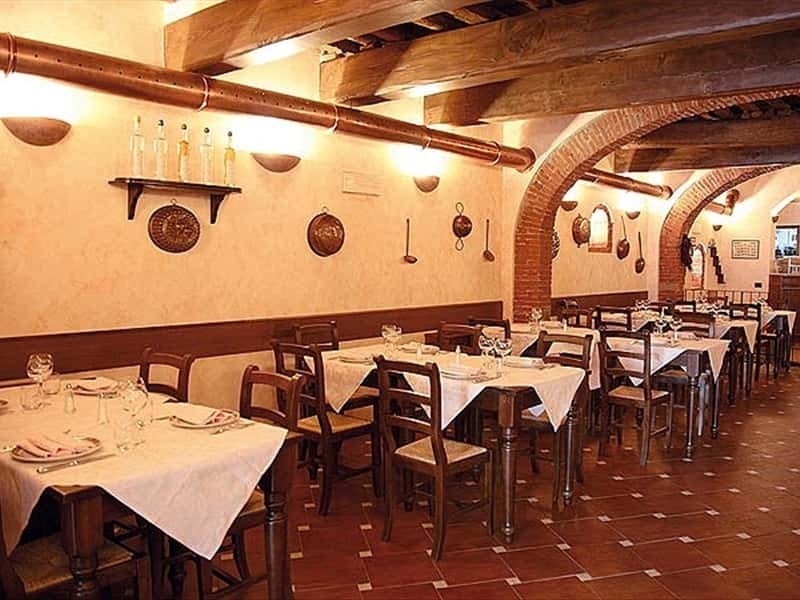 Renaioli, laborers who worked with the Arno's sands, and artisans met there at i'tocco (1 pm in Florentine) for their lunch break or at the end of the day for a small snack. There they ate crostini and sweet flatbread accompanied by a nice glass of wine in good company. 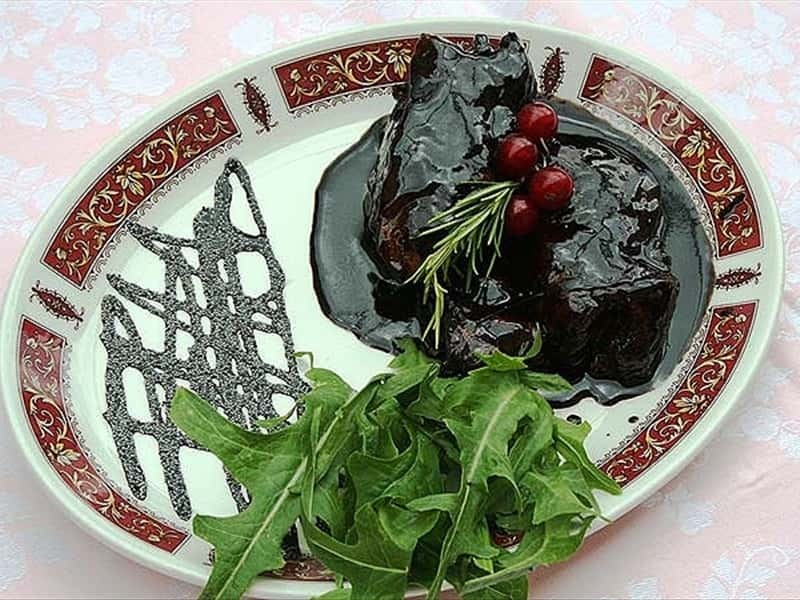 In 1972, the tavern became a trattoria serving typical Tuscan cuisine, winning praise the world over. 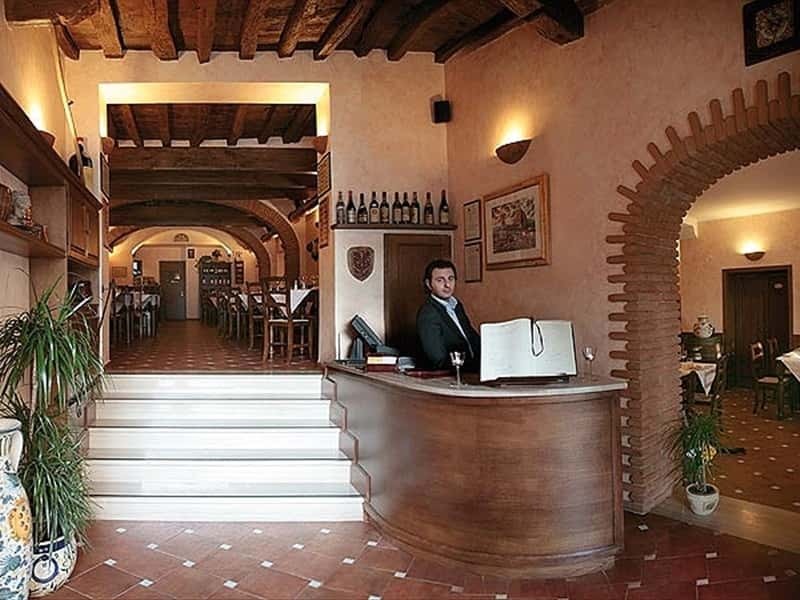 In 2007, the Carabaccia became a restaurant: larger, with more tables, more services and a 50 m2 kitchen but still the same Carabaccia. 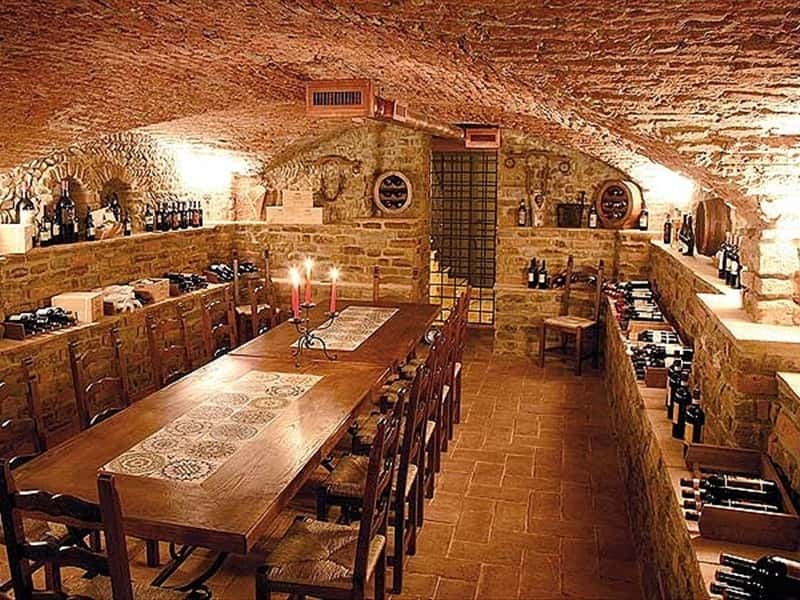 The kitchen is like it was in the past, typically Tuscan with just a few modern touches. 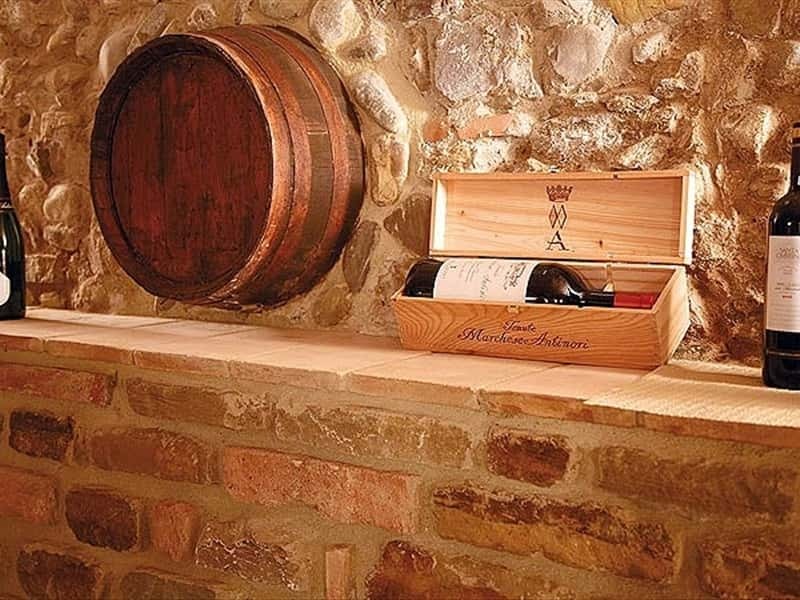 It's now June 2007 and after several long months of expansion through careful and appropriate renovation, the Carabaccia reopens and is an immediate success. 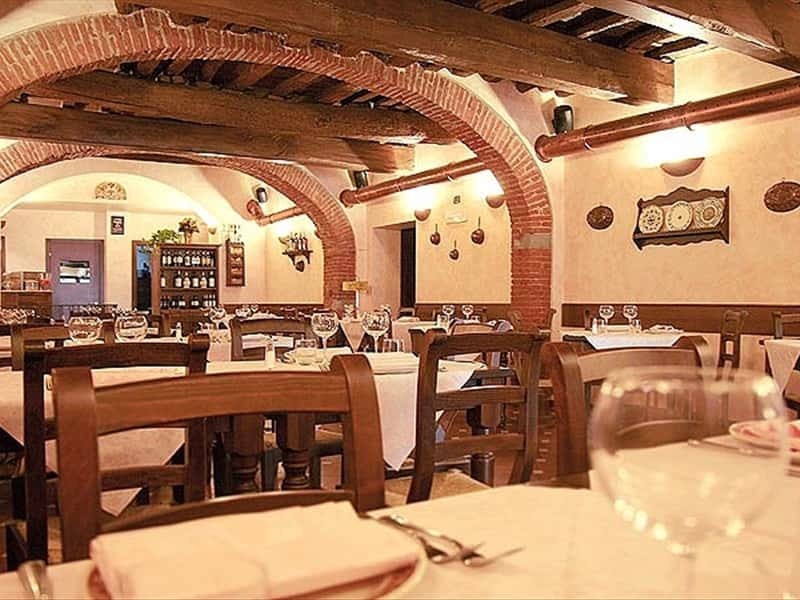 Still in Florence, still in Via Palazzuolo but now also in Via il Prato - ah, yes, the restaurant reopens hugging the start of one road and the end of another. 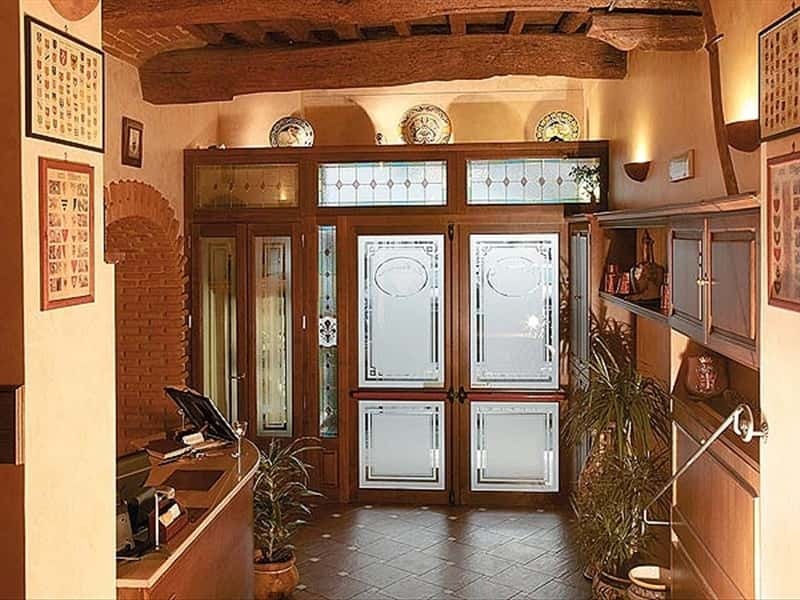 Decorating the original features of the Florentine Medieval rooms, new life is breathed into the ancient, 17th century brick arches, the wooden ceilings with authentic chestnut beams, and the wrought iron railings at the rooms' entrances and exits. The space is typified by light thanks to the terracotta artisan creations that shoot light upwards, creating a welcoming and relaxing atmosphere along with the candles on each of the tables. The rustic-style Florentine furnishings is typified by the ancient copper flatware, ceramic dishes and wooden Arte Povera style that provides a lovely art exhibit on the walls while the woven chairs and large solid wooden tables stand out from one another, providing both comfort and discretion; during the warm season, they are placed outside on the lovely and wide terrace. 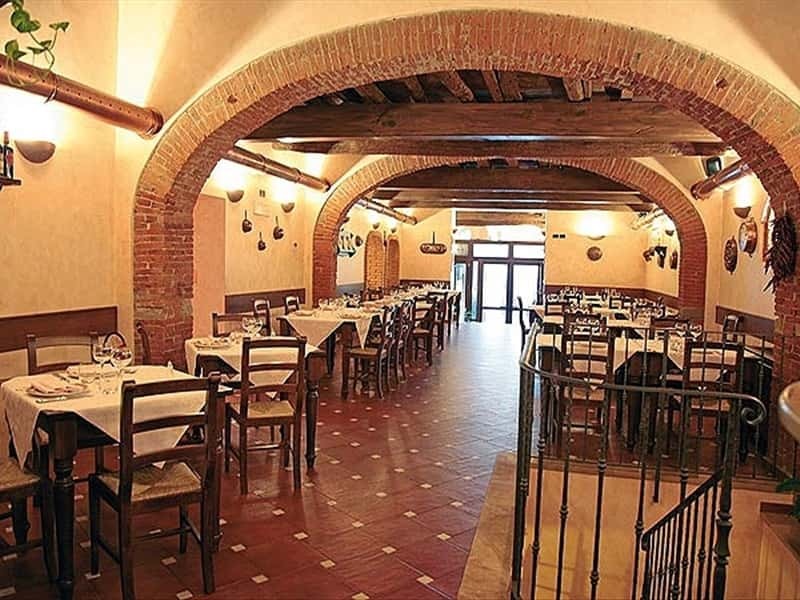 More tables, a 50 m2 kitchen and, especially, the large coal grill, the center piece of the restaurant, absolutely essential to make Fiorentina, the world famous cut of meat that is one of the Carabaccia's specialties. 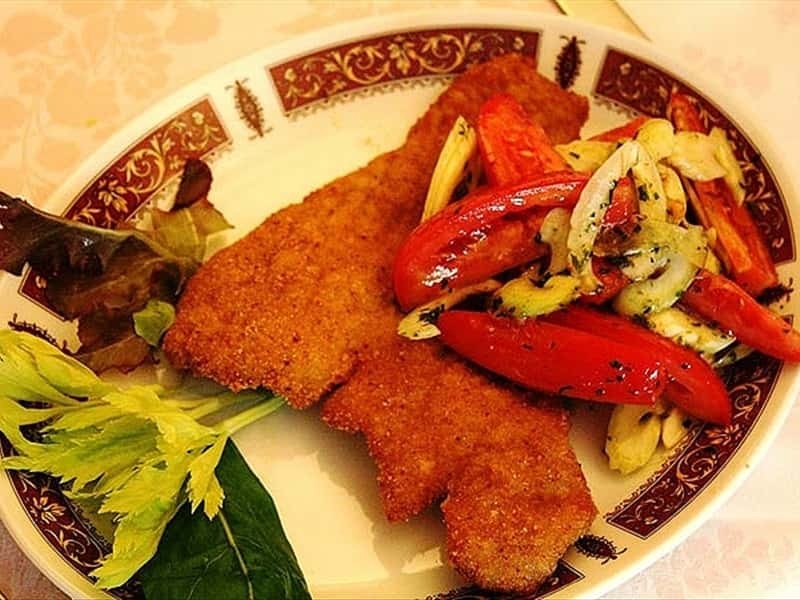 The kitchen is typically Tuscan with some updates to Florentine dishes without forgetting seafood dishes that focus on fresh ingredients and seasonal products. 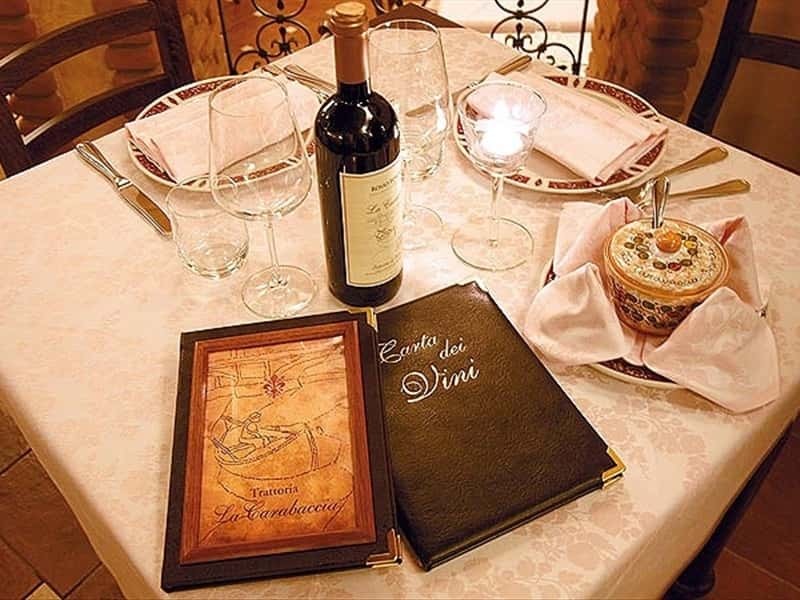 A romantic space from times past, as it is defined, this is a special place for tastings, private business meetings or private and romantic dinners. Dating back to the beginning of the 17th century, it has cross-shaped brick vaults, terracotta floors, and niches set in the Arno stone internal and external walls, which, in Florence, are called "pilloli;" meanwhile, the angles formed by the vaults are home to terracotta tiles with the crests of ancient noble Florentine families. 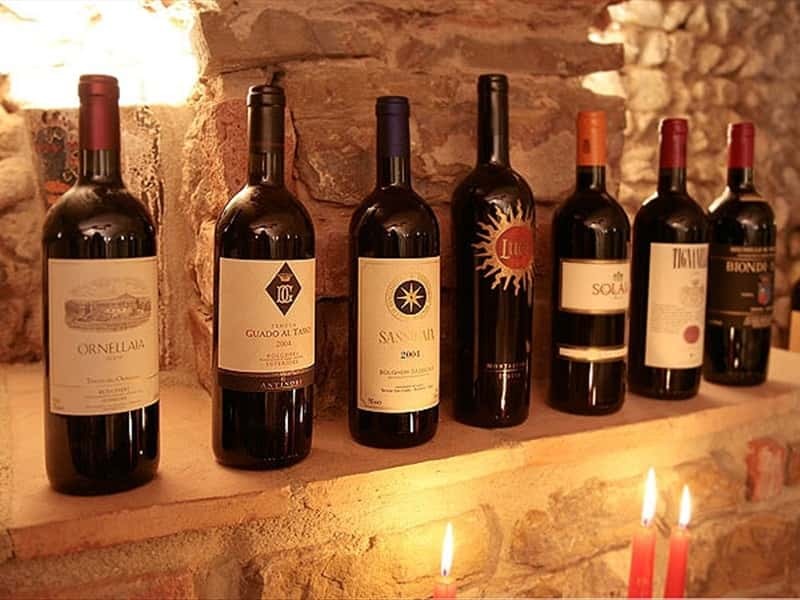 And here, in this splendid setting, you'll find our Tuscan reds and regional Italian wines with more than 100 selected labels. This structure web page has been visited 34,981 times.